"The Spiritual Master and Krishna are two parallel lines. You have to make your progress on these two parallel lines, you cannot avoid one in preference of the other. The train, on two tracks, moves forward. The Spiritual Master and Krishna are like these two tracks, they must be served simultaneously. Krishna helps one to find bona fide Spiritual Master, and bona fide Spiritual Master helps one to understand Krishna. 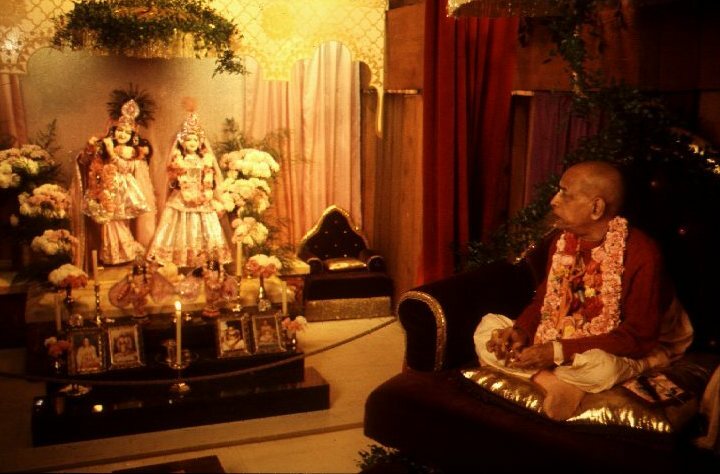 If one does not get bona fide Spiritual Master, then how he can ever understand Krishna? You cannot serve Krishna without Spiritual Master, or serve just Spiritual Master without serving Krishna. They must be served simultaneously."